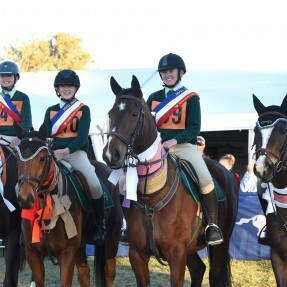 Riders Excel at Pony Club State Championships. 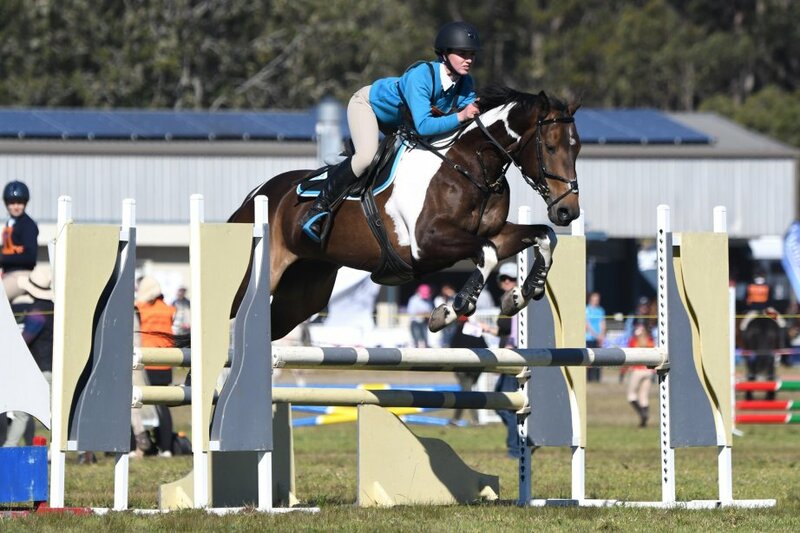 The 2018 Pony Club NSW State Showjumping & Jumping Equitation Championships were held from Saturday 7th until Tuesday 10th July at the Morisset Showground with 185 young Pony Club riders taking part with exceptional results. 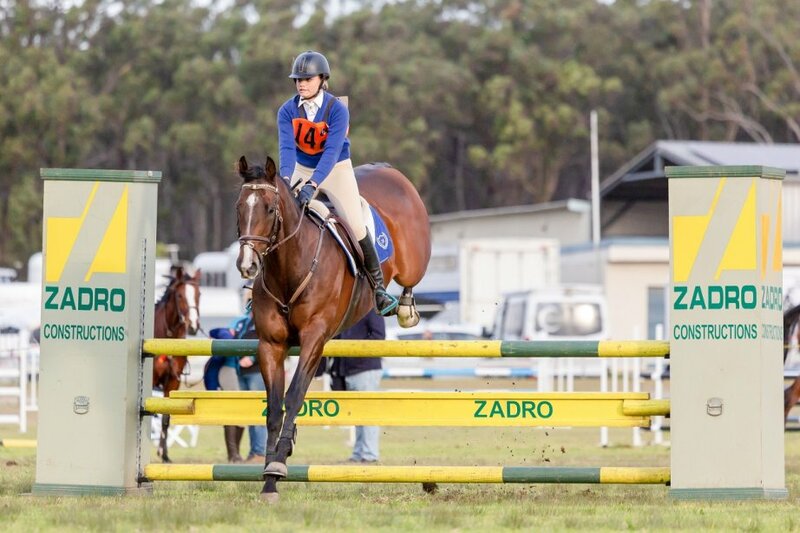 Hosted by the Zone 24 Clubs including Cooranbong, Mangrove Mountain, Tall Timbers and more, the State Championship attracted 170 entries in the Showjumping and just shy of 100 entries for the Jumping Equitation. 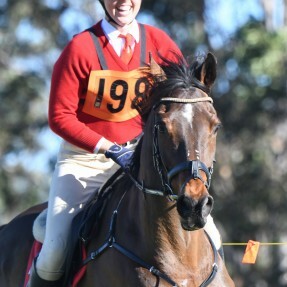 Riders represented their Zones from all over NSW aged between 9 and 26 years old to participate in 4 days of competition. The Championships welcomed world-class course designer John Vallance who carefully crafted four rings of Show jump fences for riders in D, C, B and A Grades. Locals from the Zone 24 Pony Club committee were excellent hosts, providing a sponsored Riders Retreat and canteen for attendees to enjoy. The Showjumping started the Championships off on Saturday & Sunday with competitors taking part in four classes including AM5, Grand Prix and Accumulator events. Overall winners in the Championship grades were presented with the 2018 Age Champion title, including a sash, trophy, HYGAIN feed voucher and Horseland wool rug. Matilda Barwick from Gravesend Pony Club in Zone 8 was announced as the Under 13 years Age Champion, followed by Ayla Ryan from Dubbo in Zone 4 who claimed the Reserve Champion award. 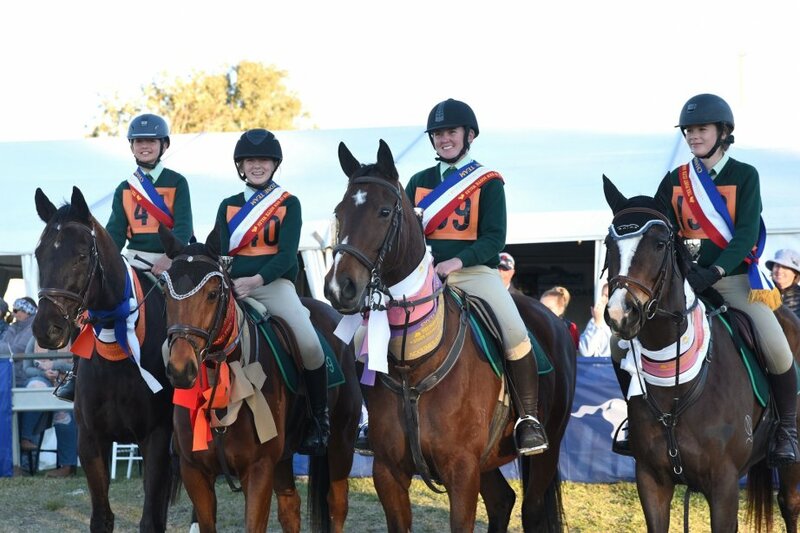 In the 13 & under 15 years, Mackenzie Harding from Jindabyne Pony Club in Zone 18 rode her brumby “Kosciusko Red” to win the Age Champion, while Aria Baker from Cambewarra in Zone 28 was announced as the Reserve Champion. The 15 & under 17 years Age Champion went to Ryleigh O’Hare from Lake Albert Pony Club in Zone 12, with Jacqueline Coombes from Bingara in Zone 8 just behind in the Reserve Champion spot. Rachael Temm from Forest Hills Pony Club in Zone 23 took out the Associate Age Champion award, followed by Matilda Seppelt from Londonderry in Zone 19 claiming the Reserve Champion. 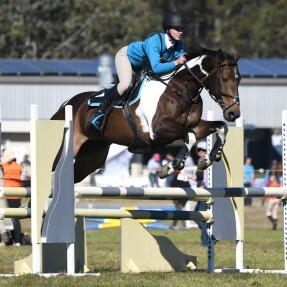 The most successful Showjumping Zone was awarded to Zone 9 with riders Paton Simpson, Ella O’Neil, Mallee Goldrick and Kimberly Tout the top point scoring riders from the same zone. 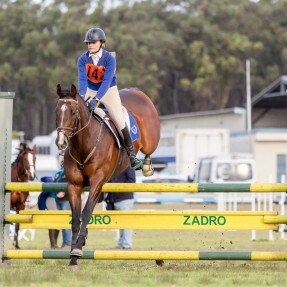 The Jumping Equitation Championships followed on Monday and Tuesday, with riders required to complete a showjumping round demonstrating exceptional riding ability and control of their horse though a series of set tasks over four classes. Tara Seppelt from Londonderry in Zone 19 was the overall winner in the Under 13 years age group, received a sash, trophy, HYGAIN feed voucher and Wool Rug from Horseland, closely followed by Lucy Tazawa from Tall Timbers in Zone 24 in the Reserve Champion position. The 13 & Under 15 Years age group saw Amy Mathews from Coffs Harbour in Zone 9 earn the Age Champion title, with Hannah Turner from Kurrajong in Zone 19 claim the Reserve Champion. Age Champion in the 15 & under 17 years went to Anastasia Haling from Kootingal in Zone 5, with Zoe Campbell from Corindi in Zone 9 not far behind to be presented with the Reserve Champion award. In the Associates division it was a back-to-back win for Rachael Temm from Forest Hills in Zone 23 claiming the Age Champion for the fourth time, alongside her sister Victoria Temm also from Forest Hills Pony Club in the Reserve Champion spot. This is the third consecutive year that the Temm Sisters have claimed both top titles for the Jumping Equitation Championships. The Champion Zone Award was presented to Zone 19’s successful riders Hannah Turner along with siblings Tara, Matilda and Alexander Seppelt claiming the highest points from the same zone. Zone 22 were also presented with the Fitness Check Presentation award for both the Showjumping & Equitation events. Julie Wilson Equestrian Photography and GeoSnapShot were at the Championships to capture all the moments. The next State Championships for Pony Club NSW will see two events within one week of each other as the State Mounted Games & Team Sporting Championships are held from the 29th September – 1st October at Cobargo Showground and the State One Day Event & Combined Training Championships take place on the 6th & 7th October at the Albury Wodonga Equestrian Centre. Follow and share us on your favourite social media site. Subscribe to our PonE newsletter to stay up to date. 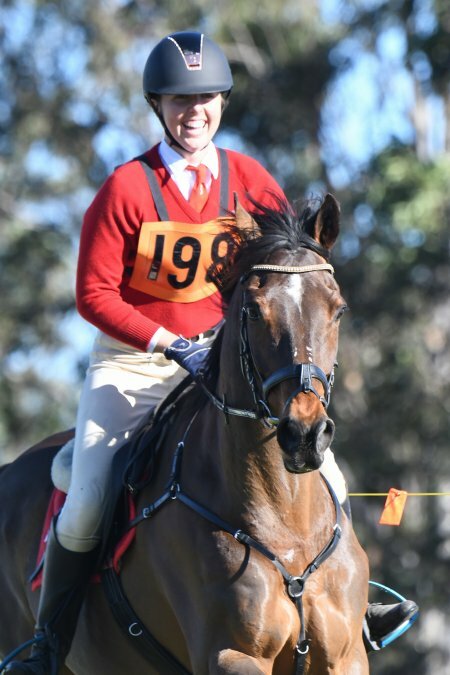 © The Pony Club of New South Wales Inc. All rights reserved.